Module A-135-2 is a miniature version of the A-135-1. 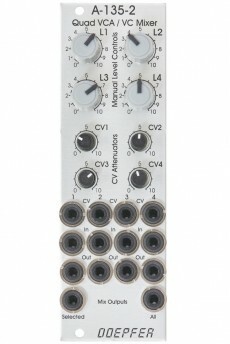 It consists of four linear VCAs with mixing function. The input level is adjusted with the attenuator. 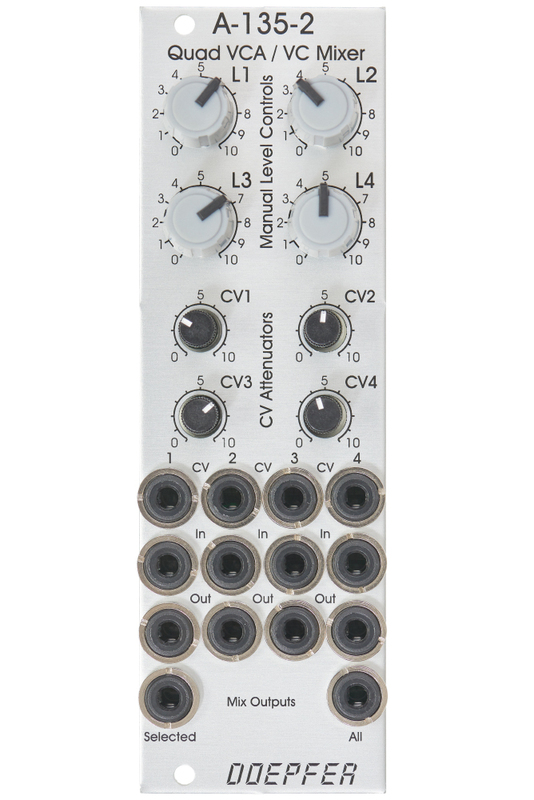 The volume control of each input signal can be controlled manually with the gain potentiometer and via a control voltage at the CV input, and can be tapped at the individual output, just like with a normal VCA. 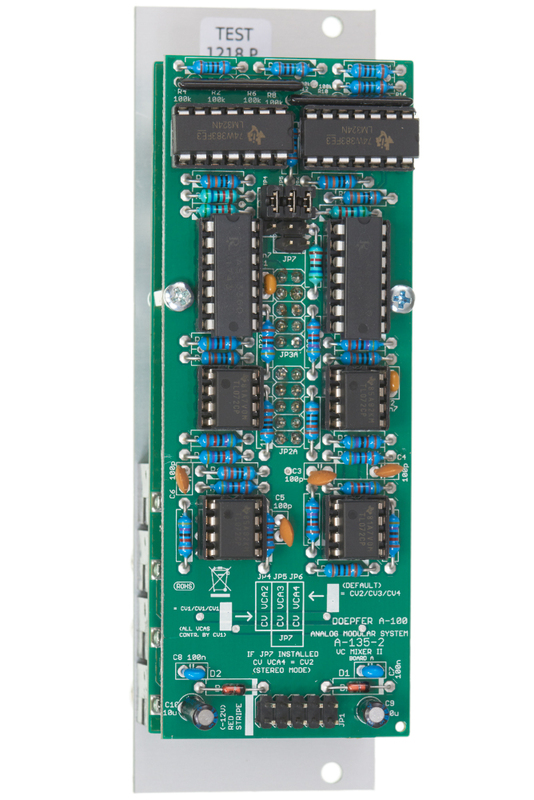 In addition, the A-135-2 mixes the four signals at one of the sum outputs with a maximum gain of 0.6 to avoid clipping. At the Selected output the sum signal of all VCAs appears, if no patch cable is plugged into the Out jack of the respective VCA. VCAs with a patch cable plugged into the Out jack are removed from the sum. 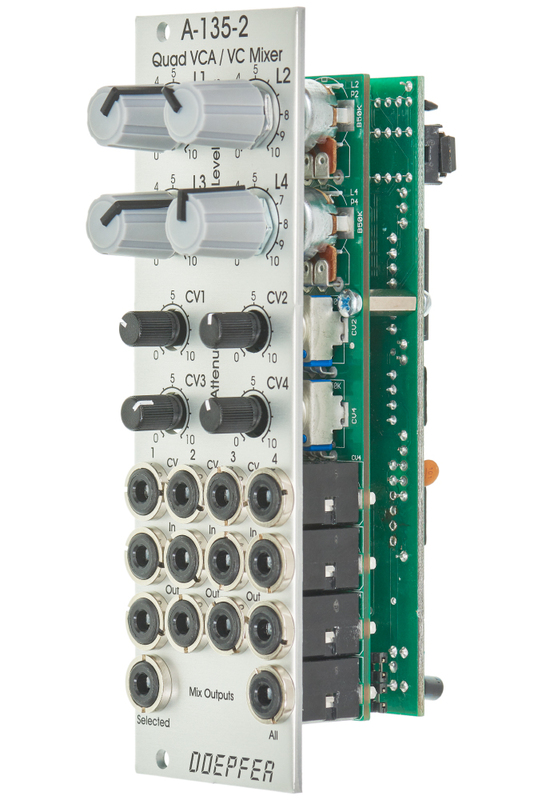 The All output always mixes all four channels. Thanks to internal jumpers, the four signal inputs can be normalized with each other. Thus a signal can be distributed to 4 different channels by voltage control (e.g. for quadrophonic distribution of audio signals).